“No VOC” Paint Developer and enthusiast, Sally Fretwell knows the benefits of “No VOC” paints better than anyone. What are “No VOC” paints and how do they affect us? What does “No VOC” paint mean? “No VOC” is much more than just a buzz word. “VOC” is an acronym for “Volatile Organic compound”. Paint is made up of organic and inorganic compounds. For the most part, organic compounds are released when paint is taken out of the can and applied to a wall. Some of the organic compounds are solvents or other toxic materials. They are usually associated with “paint smell”. Many of these toxins are both harsh on the body and the environment. These toxins are a cause of ozone depletion and deleterious effects to the human body, pets, and plants. If you are around paint that is NOT of a “NO-“ or “Low VOC” type, you can absorb the airborne toxins into your body many different ways. Many people with weak immune systems, lung or liver problems, can have a hard time removing these toxins from their bodies. VOC paints can cause headaches, allergic reactions, aches and pains. They are especially hard on individuals who suffer from asthma and other respiratory problems. Excellent research and product development by paint manufacturing companies has allowed them to find non-toxic substitutes for toxic materials normally used in paint. No longer does using ”No VOC” paint mean you have to sacrifice good coverage, full-bodied colors or long lasting paint. With the elimination of volatile organic compounds, you no longer have to be worried about the headaches and breathing problems that are often associated with being in a newly painted room. “No VOC” does not mean “no odor” but it does mean that there are no harmful emissions. So why did Sally get involved with all of this over 20 years ago when there were no “No VOC” paints? If you read the “About” page on on this web site you will recognize this. In the midst of her active consulting practice and just 10 years after her degree, Sally was accidently sprayed with a massive dose of insecticides from a plane as it flew within 100 feet over her head. Sally was standing in her drive way When the plane’s pilot mistakenly released hundreds of pounds of insecticides over her head striking her with a torrent. After many months of rehabilitation Sally was forced to move from Southern Florida to Virginia where she was less likely to incur the constant insecticide spraying on the southern coast of Florida. It was in Virginia that she worked tirelessly to develop new lines of paints and especially “No VOC” paints for those who have allergies and issues with paint and paint smells. 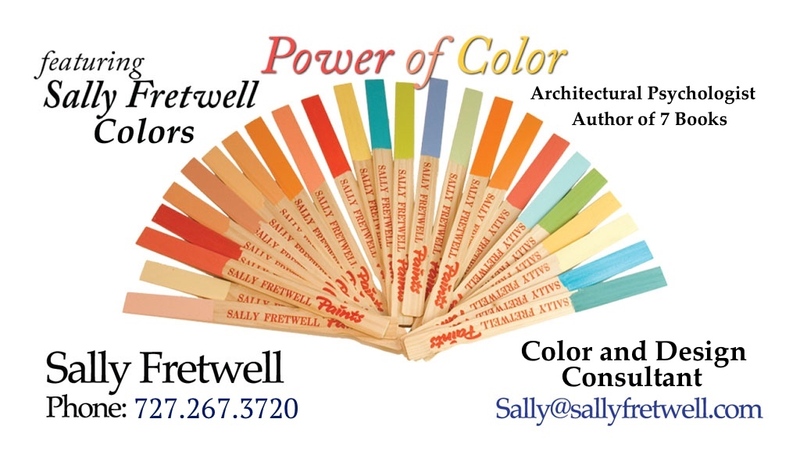 Sally developed her own line of paints and natural colors to go with them and ultimately started two paint stores dedicated to natural colors and “No-VOC” paints to serve the central Virginia area and Washington, DC. Her paints can be found in many hospitals, doctor’s offices, schools, residences, and commercial facilities through out the area and across the country.